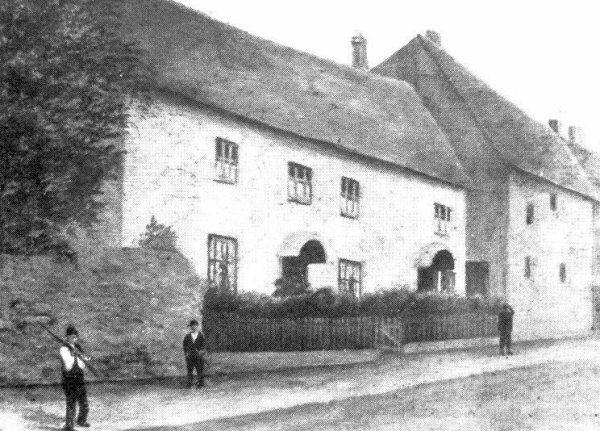 The 1743 Terrier records Sun Orchard as half an acre, being the home orchard of Sun House Farm, later the Sun House Inn (see which for early owners/occupiers, etc.). The lands occupied by Sun House Farm were quite extensive, extending to as far as St Michael's Avenue in the east and probably beyond almost to the River Yeo. As well as this 'home' orchard, the farm also had Rowe's Orchard and Hill Orchard. 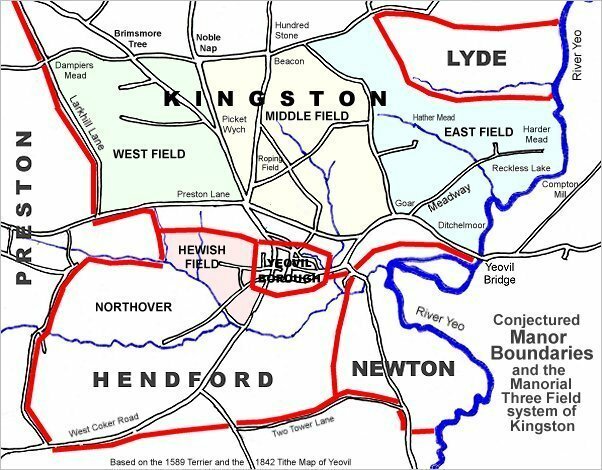 The Turnpike Minutes 1753-1810 refer to the distance "Kingston Gate to Sunhouse 5 furlongs". (Note: 5 furlongs = 1,100 yards or 1,005.8m). The 1846 Tithe Award recorded Sunhouse Orchard as Parcel 523, with the house, gardens, etc. as Parcel 524. 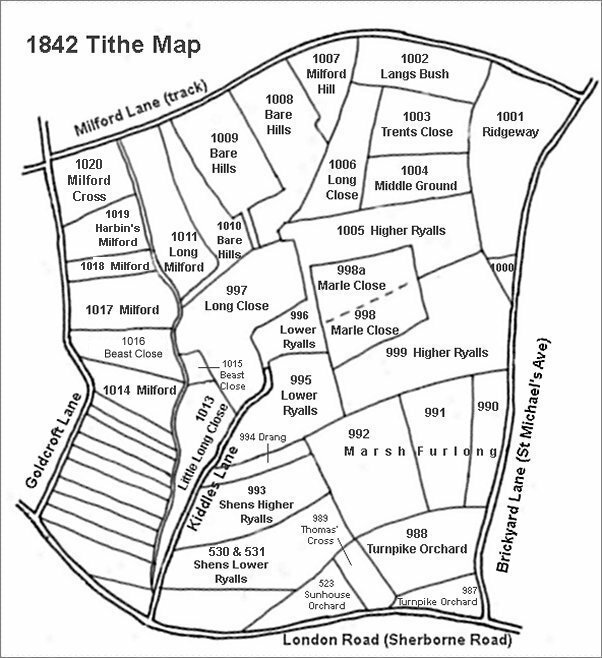 Sunhouse Orchard was bounded on the east by Thomas' Cross (989) and on the north by Shen's Lower Ryalls (994). 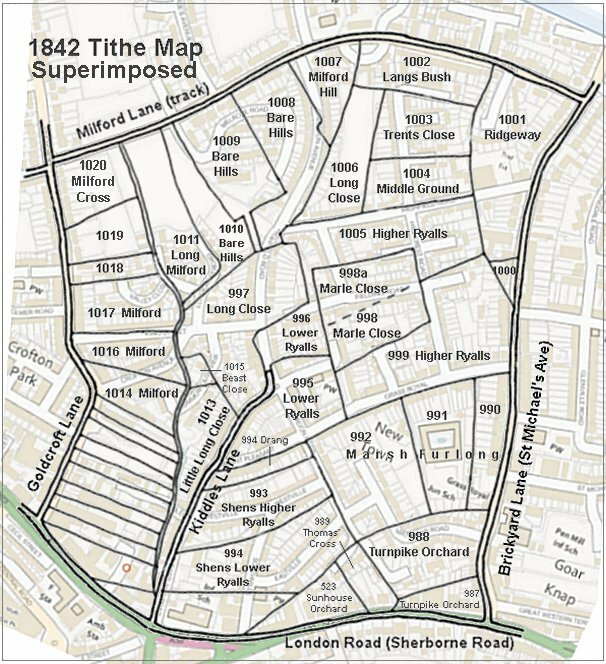 Sunhouse Orchard was still an orchard in 1912 as shown by the map below, but today the former Sunhouse Orchard is occupied by houses and gardens of Sherborne Road and Eastville and the rear car park of the Elim church. 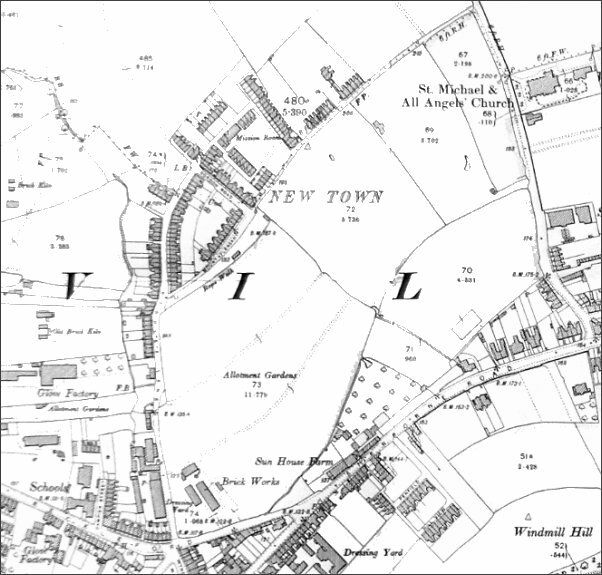 The 1912 Ordnance Survey showing the fledgling New Town surrounded by fields.